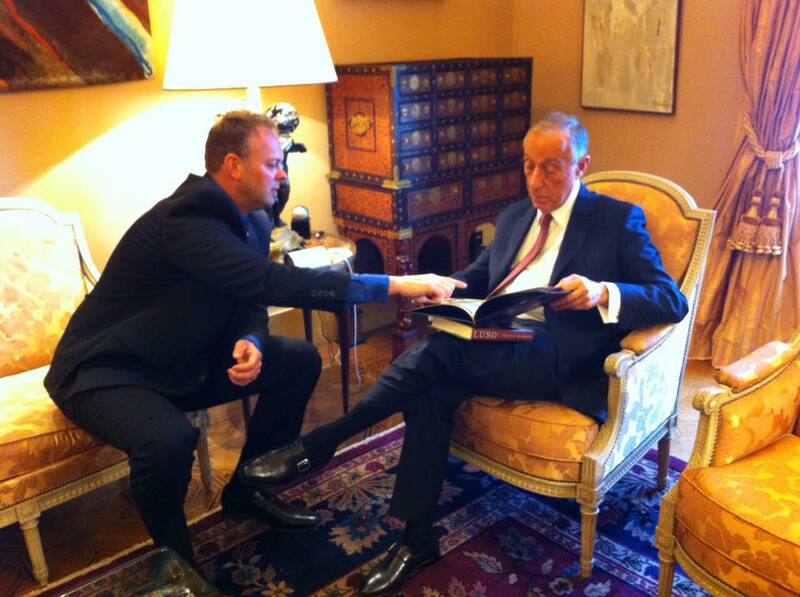 Travis Bowman met with President Rebelo de Sousa of Portugal at Belém Palace in Lisbon. He gave him a copy of his new novel called LUSO and they discussed the film development. The President loved the book, the story, and the impact it will have on the Portuguese community worldwide. He said, “Every child in Portugal should be reading your book!” and offered to translate LUSO into Portuguese.